Attention hipsters! Lowell Farms, the organic cannabis farm, is selling weed flower coronets just in time for April’s event. Do you plan on attending Coachella this year? If so, then you’re going to love these new floral crowns. In fact, they come with more than just daisies. Thanks to Lowell Farms, flower crowns are becoming more weed-friendly. Just in time for April’s event, the organic cannabis farm is selling weed flower crowns. In fact, you can even smoke them. If wearing an ounce of pot on your head has been a lifelong dream of yours, then you’re in luck. As long as you have a prescription, you can now make that dream a reality. Just when you thought flower headwear was dead, there are now weed crowns, and they’re gorgeous. If you plan on attending Coachella next month, then you’re in for a real treat. There’s an organic cannabis farm that wants to top your head with more than just daisies. Lowell Farms are offering these one-of-a-kind crowns just in time for April’s event. As can be seen, the new pot-friendly headwear is a must-have, for more reasons than one. And if you want to let your inner queen shine through, then these are the best way to make it happen. If you order The Coachella Blend packs, then the crown comes as a bonus. While the packs retail for $55, the crown alone is $60. So, you might as well get both. In case you are wondering, yes, you can smoke these weed flower crowns. In fact, each headpiece features Lowell Farms’ unique Coachella blend. However, these beauties are limited-edition. To get your hands on one, you must pre-order Lowell Farms’ special Coachella pack from Palm Springs Safe Access in the Coachella Valley. Also, you need a prescription. Although these crowns are expected to sell out fast, Lowell Farms has other options available. For example, their famous cannabis bouquets, which come with an entire ounce of pot. Aside from Coachella, these babies are perfect for any music festival. Ones in legal states, anyway. Even if you don’t smoke, you cannot pass up the opportunity to take a selfie while wearing one. They are a real attention-grabber, indeed. And if you’re getting married, that’s yet another reason to purchase one. 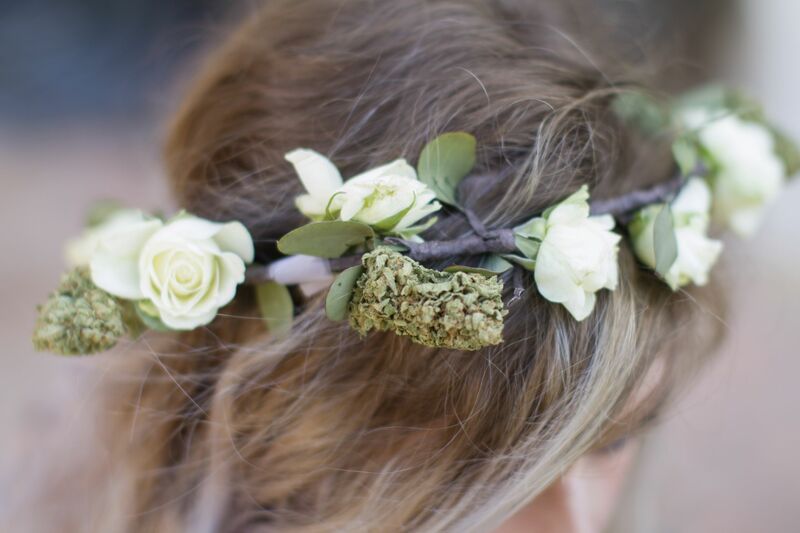 Can you imagine holding a cannabis bouquet and wearing a weed crown at the same time? What a time to be alive.